Why is it new and improved? First - better rewards. Get ready to unlock free food, exclusive discount offers like 10% off your purchases, invites to exclusive events, and swag that you’ll want to keep and use forever! Second - we’ve reduced the amount of points it takes to go from one level to the next. That means more of you can reach Friend and Family! 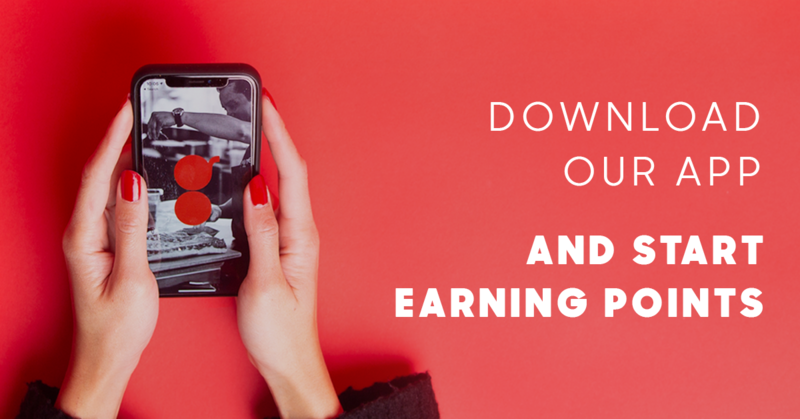 You can download our app here, available for iOS and Android. Check in at any of our locations starting 3/18/2019 to update your membership level (if needed). Then enjoy your new rewards as you earn them. Your point balance prior to 3/18/2019 will be automatically rolled into the new loyalty program structure. Order online or through the app. Your points will automatically be added into your account. Scan your app’s QR code at the register if you’re ordering in person. Scan your receipt barcode using the app after you’ve already purchased your meal. Refer your friends. They earn a free cookie and an extra 5 points for entering your referral code when signing up. Best part, you earn the same when your friends make a purchase and earn their first loyalty points. You'll receive rewards for every 50 points you earn in Fan, and even bigger and better rewards for every 100 points you earn in Friend - like a thermos and tote bag. Once you reach Family, you'll receive the 10% Off Everything and Kids Eat Free rewards! Rewards will not be awarded retroactively. You will be awarded based on the points you’ll continue to earn on and after the launch of this new loyalty program on 3/18/2019. 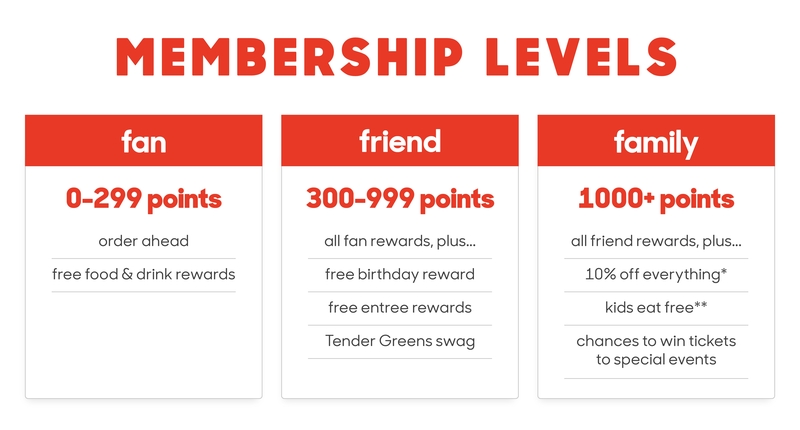 This means that if you've now hit Family level on the new loyalty program, you will be awarded only the Family level rewards, not the Friend or Fan level rewards, with the exception of the Birthday reward in the Friend level. Cannot earn points on beer/wine, catering orders, third-party delivery orders, tax, tip or other non-qualifying items. Points expire annually on the anniversary of your signup date. But don’t worry - we’ll send you reminders so you’re not surprised when this happens. Your online ordering account is the same as your mobile app login. Only one reward can be redeemed every four hours. *10% Off Everything reward can be used over and over (with respect to rule 4) and is only valid while Family membership status is held. **Kids Eat Free reward can only be used when purchased with a plate or salad, dine-in, and for children 12 or under. This reward can be used over and over (with respect to rule 4) and is only valid while Family membership status is held. Our FAQ section is a great place to start. Tender Greens Opening in Boston's Chestnut Hill!